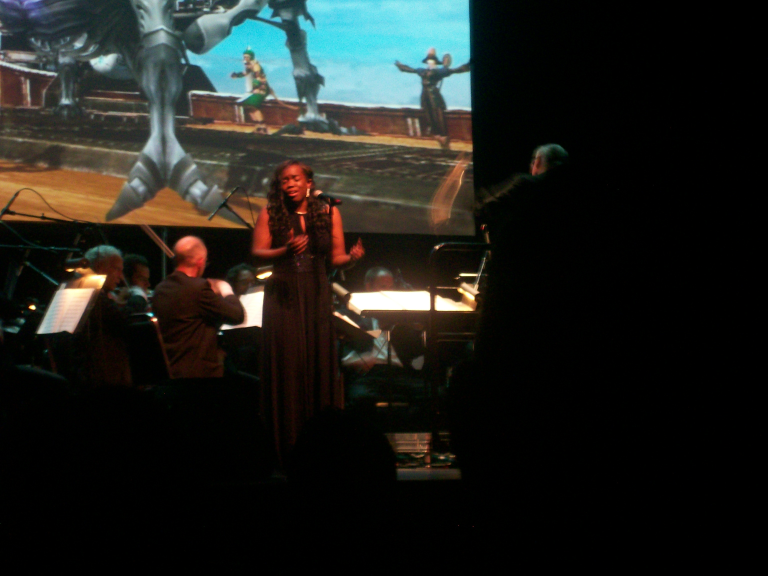 The Final Fantasy XI 10th Anniversary Concert was this last weekend in Berkeley, and it was a real treat. 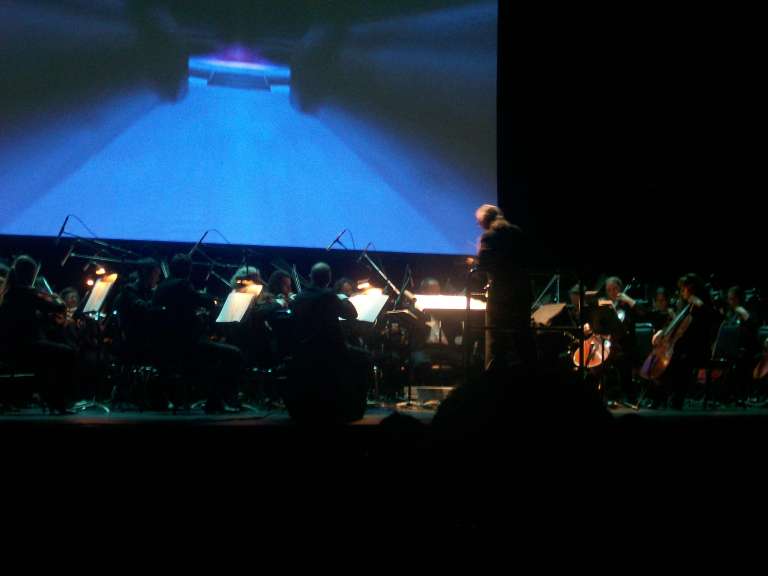 I had gone to game concerts before, like Video Games Live, but this was a different kind of concert – Video Games Live is insane, top to bottom, and Tommy Tallarico is a showman and performer. 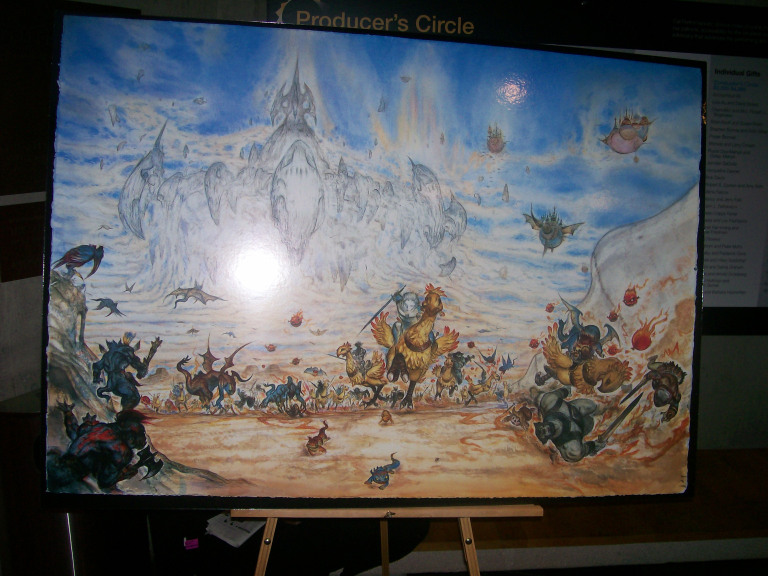 This was more classic, more low-key, more focused on the music and the monitor behind, which showed off some of the locations, battles, and cutscenes from Vana'Diel. 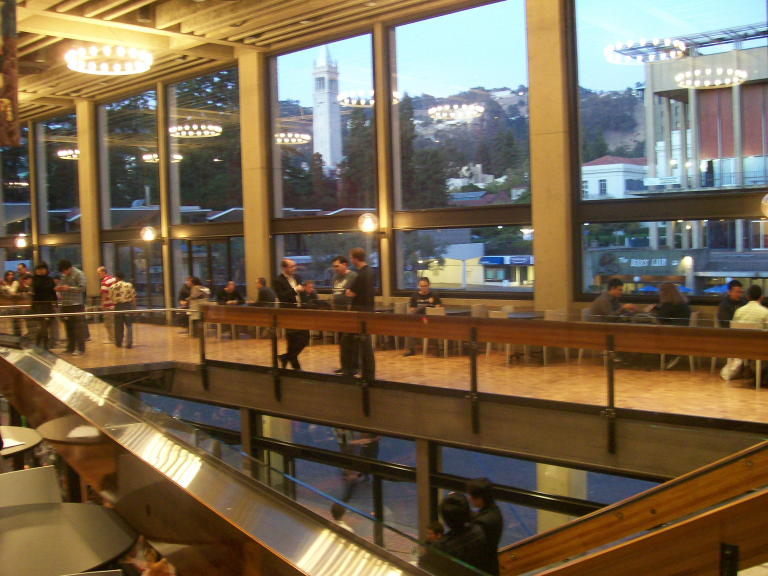 Zellerbach Hall was a perfect place to hold the concert - the lobby was a gorgeous place to be. 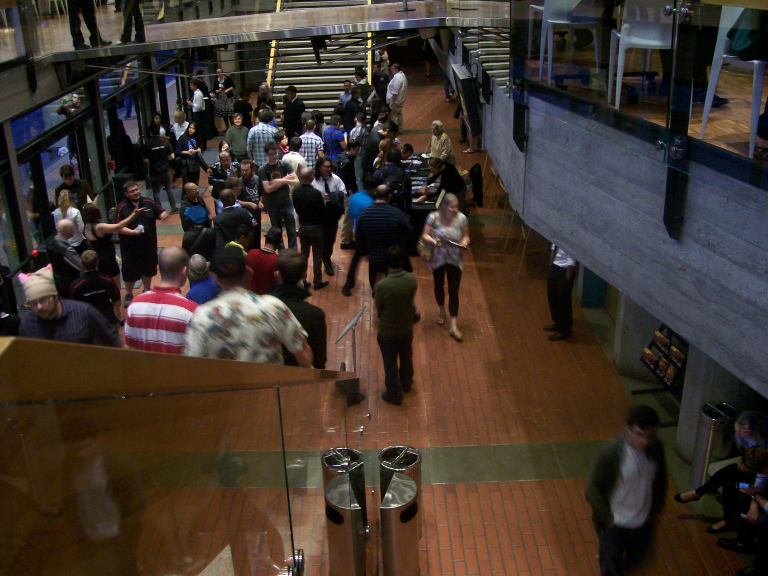 Fans had come out in full force for the event. 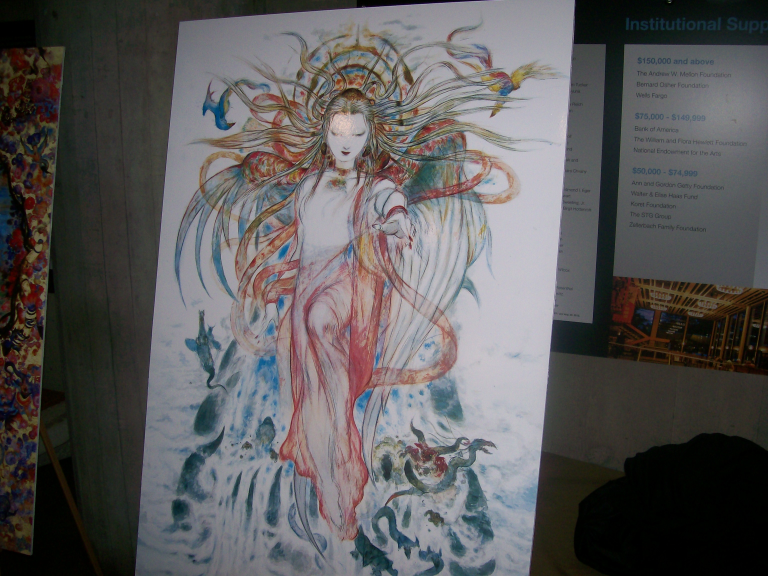 Many had Final Fantasy shirts, and several were from the earlier concert, Distant Worlds. 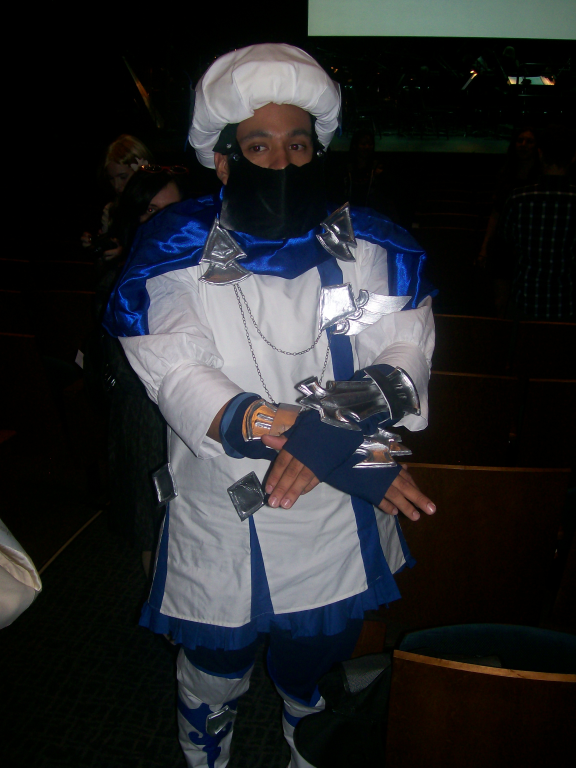 It wasn't quite as dense as a convention, but there were still several terrific costumes. 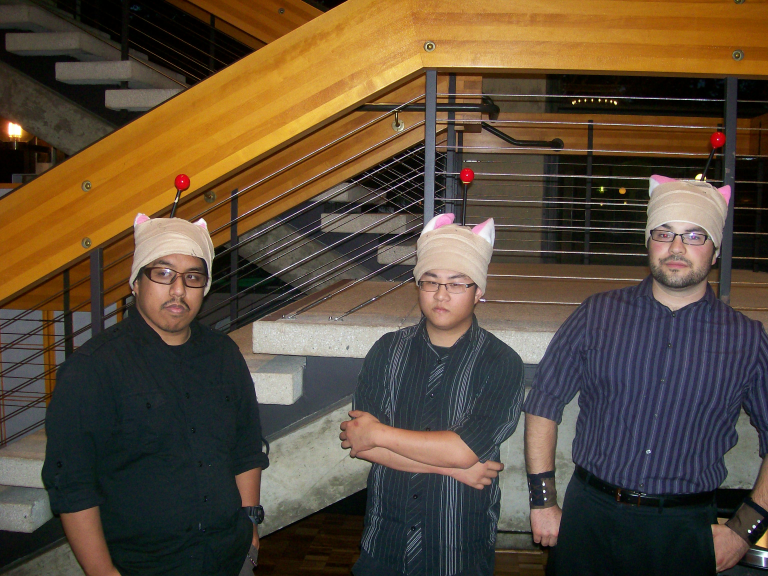 I even saw one woman in a pretty black dress with Mithra cat ears and a tail. 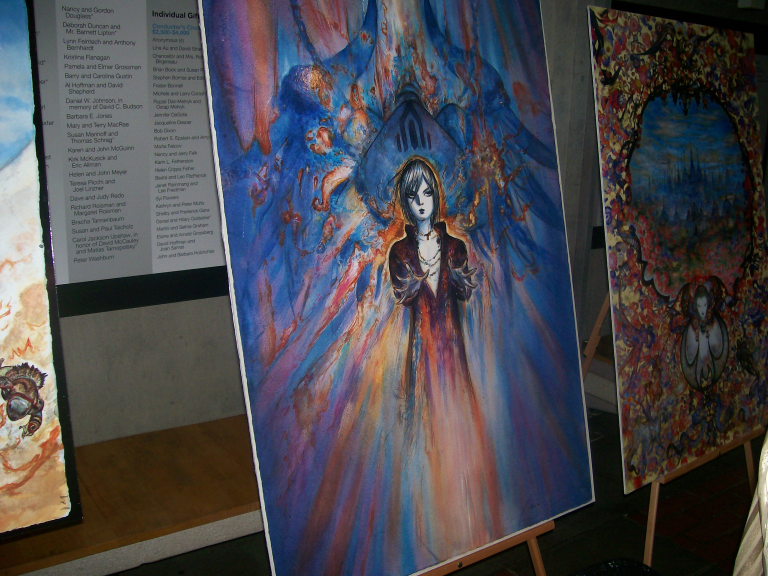 Behind the booth selling the FFXI music CDs and DVDs was even some of Yoshitaka Amano's gorgeous art on display. 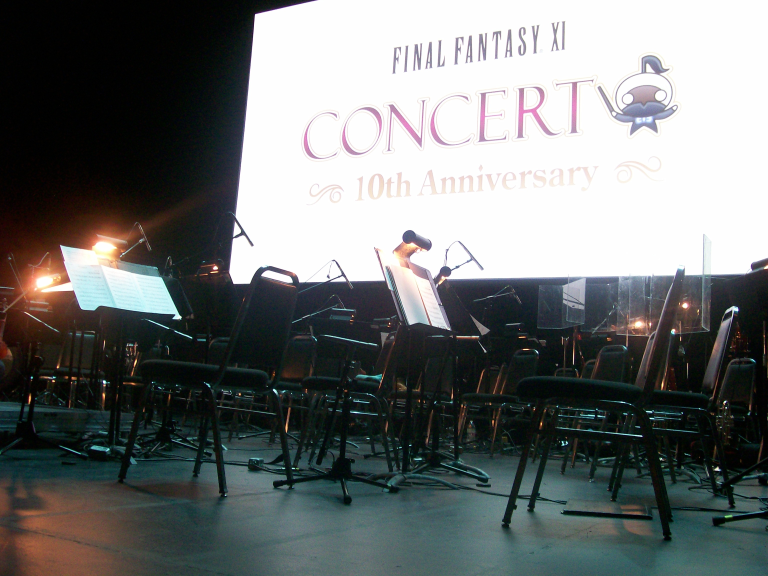 Arnie Roth, longtime veteran of Final Fantasy games and concerts, conducted and produced the music. A large collection of local musicians all united under “The Vana'Diel Orchestra” name to play some of the best pieces from Noubu Uematsu, Kumi Tanoka, and Naoshi Mizuta. They started with a medly of FFXI music, the Vana'Diel March and Wings of the Goddess, before Roth said some kind words about FFXI, Final Fantasy and the fans. He also reminded everyone that this year was also the 25th anniversary of Final Fantasy's release in Japan, this December. 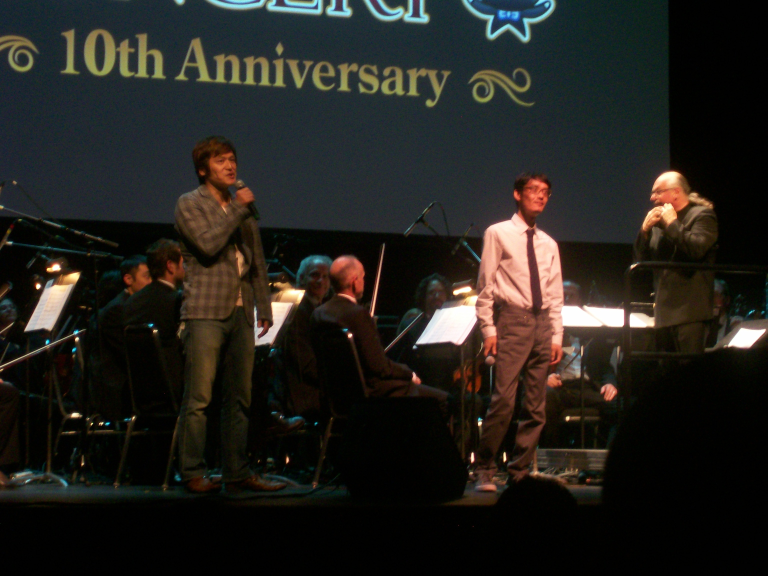 Then, something I did not remember - he brought out Naoshi Mizuta (right), with his translator (left). Mizuta, who wrote a vast majority of the FFXI soundtrack as well as Parasite Eve 2, was asked to come to either this or the other FFXI Concert taking place in Japan, during Tokyo Game Show, and Mizuta chose to come here. 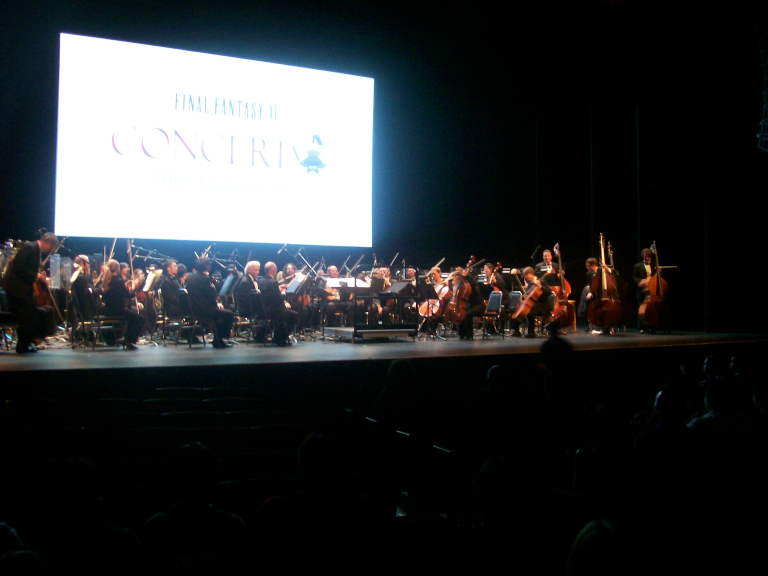 He thanked the fans for everything, and let the symphony continue. To sing the vocals for Uematsu's Distant Worlds, they brought out a local singer, one whose name I tragically can't remember, but she completely killed the song. 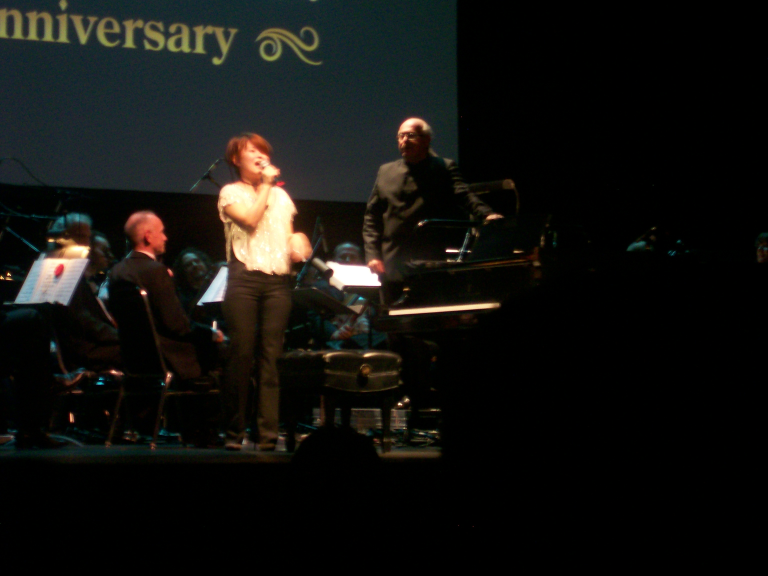 Then, after a brief intermission, Kumi Tanioka, also a composer on FFXI, came on stage, and – speaking quite good English – said she'd be playing a few solo piano pieces, and warned people “not to fall asleep, and if you do, don't snore.” Her beautiful, serene melodies played a nice contrast to the rest of the concert's bombastic volume. To close the concert, Roth said they had held out on playing it for too long, and “you'll figure out what it is when we start playing,” and played a song just about everyone there knew. 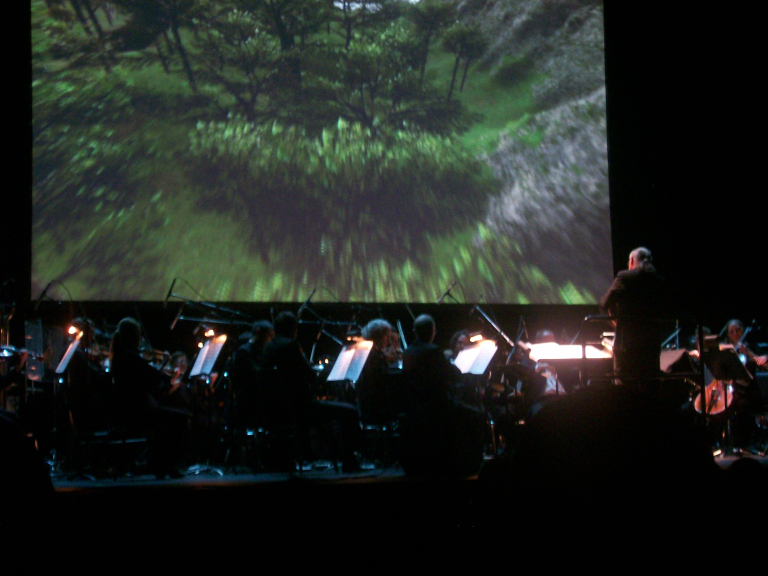 It's been a while since I played FFXI, but the concert was a great reminder of what I loved – the color, the vibrancy, and the atmosphere. I might not have the ability to jump back into Vana'Diel, but I will definitely be queueing up some of the music to remind myself of the time when I did.